MULTIVISION II has the same functions as a classic profile projector, but with the great advantage of obtaining all the programmed measurements in an instant. Available in a version with 1 to 3 cameras with customisable fields of vision, it is ideal for three-dimensional measurements, for example for compression, torsion, traction springs and various shaped springs. The system is very open and is completely programmable, not being tied to a fixed design; it is able to recognise and automatically measure whatever shape is focussed on by the various cameras. 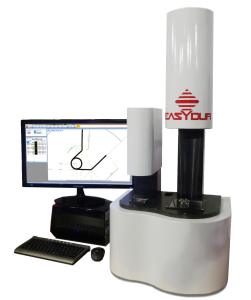 Thanks to the Block Tracker function, the software calculates the centre of gravity on the first measured sample and learns the data of the rotation of the part through 360°, So that the operator never has to reposition the subsequent samples. The program has a rich database of geometrical instructions for searching for points, lines, circles, thus enabling it to assess distances, angles, bending radii, etc. The operator draws points, lines, arcs and so on just as in the CAD environment. There is no longer any dependence on the classic and difficult interpretation of the program based on a table or on function lines, all he has to do is draw the geometrical elements. Of course there is a folder for storing programs and results.Statistics are calculated in real time and the following may be obtained for every measurement taken: Mean, Sigma, CP, Cpk, Gauss Curve, Histogram. The data and the graphics are updated continuously, part by part, enabling the user to understand which are the most critical characteristics. 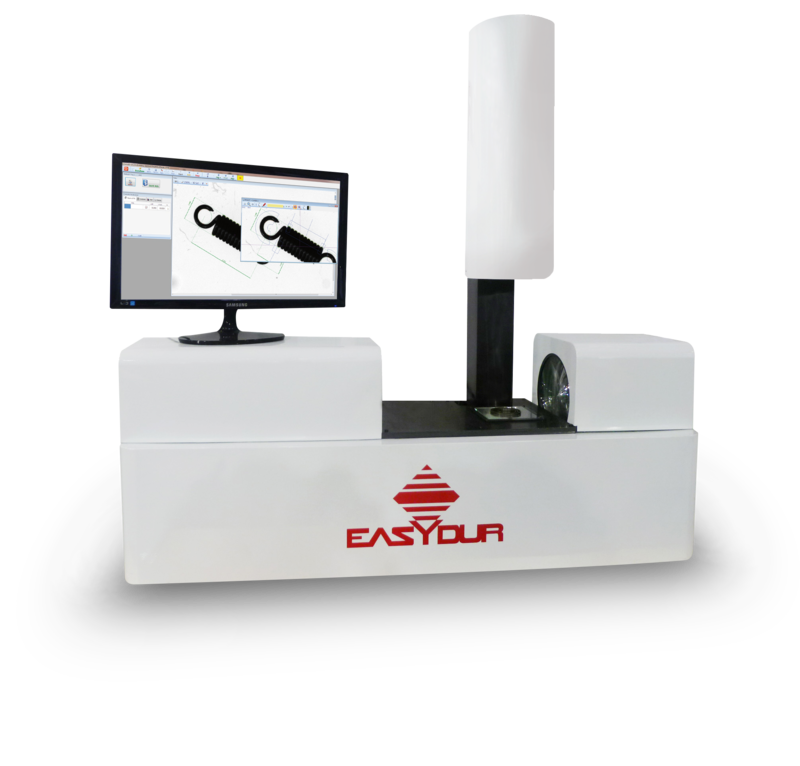 The image analysis is developed entirely by EASYDUR and reaches a resolution of 0.1 pixel. Searches for both linear and radial patterns are implemented. The cameras are digital on a Firewire bus, with a very high resolution CCD sensor (up to 9.1 Mpix), the photo shooting times are very low and therefore allow the measurement of moving or vibrating objects, especially on the machine.